(Lowell, Mass.) 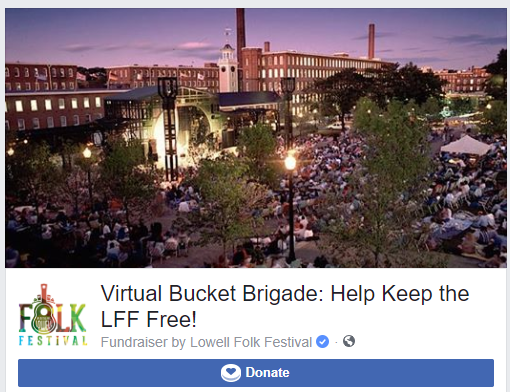 — If you like great music, great food, and great fun, the 32nd Lowell Folk Festival invites you to join the dedicated volunteer corps that will make the Festival a success in downtown Lowell on July 27-29. Volunteers must be able to contribute at least four hours of high energy while also having fun in bringing this great event to life. You can also email Lowell_NHP_Volunteers@nps.gov or call (978) 275-1740 for additional information.